French basketball players abroad at Beretta Famila Basket Schio, for 2008-2009. Nicole Antibe is the most experienced French basketball player abroad at the moment. 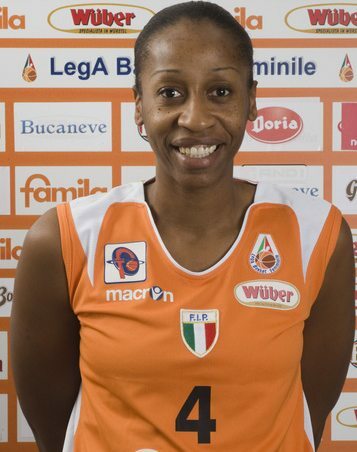 She first played outside France during the 2003-2004 season with Famila Schio.She won an Italian cup medal with them at the end of that season. For the following season Antibe stayed in Italy but played for Napoli. She helped the club to win the FIBA EuroCup Women at the end of the 2004-205 season. She then left for a season in Spain before coming back to Italy and Napoli during 2006-2007. She did not leave the club empty handed as her club won an Italian championship medal. Last season she went back to play in Spain last season. 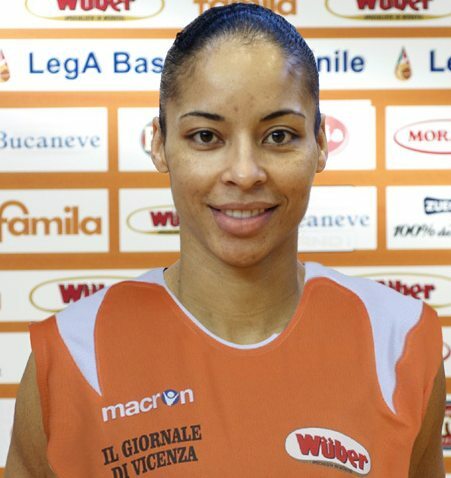 For 2008-2009 she returned once again to Italy and is playing for Beretta Famila for the second time in her career. Antibe last played for France in 2005 during EuroBasket Women 2005. She has a total of 193 games for France, won Silver and Gold medals at EuroBasket Women in 1999 and 2001 respectively. She also went to the 2000 Olympic Games. Before leaving France she had won all domestic honours with CJM Bourges and USVO, including a EuroLeague Women winner's medal in 2001. Allison Feaster spent six seasons in France playing for Aix-en-Provence (1999-2001) as well as USVO (2001-2005). As a result of the time spent in France she acquired a French passport and was actually called up to play for France in 2005. She was unable to honour the call at the time because she was pregnant. She had her baby in February 2006. She returned back to the game to play for Ros Casares in Spain during the 2006-2007 season. Feaster stayed in Spain for another season and played at C.B. San José León. Feaster is a graduate from Harvard University and is remembered for her 35 points and 13 rebounds while knocking out number 1 seed Stanford University (71-67) during the first round of the 1998 NCCA University play-offs. She was the the fifth player to be drafted in the WNBA that year and joined the Los Angeles Sparks. She played three WNBA seasons with the Sparks before she was traded in 2000 to the Charlotte Stings. She played for the Stings from 2001 until 2006. She did not play in the WNBA in 2007 but returned in 2008 and played with the Indiana Fever. This is her first time in Italy. Yet Feaster has been joining Antibe for the second time in her career. They both played together at USVO. She won the French League title four times with USVO. She also won the French Cup with Aix-en-Provence in 1999 and on three other occasions with USVO.